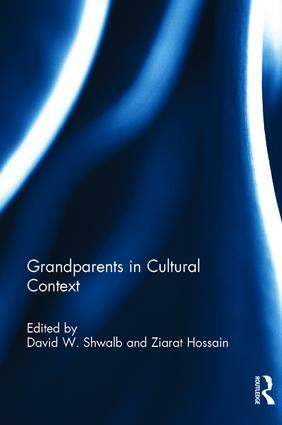 Grandparents in Cultural Context gives a long overdue global view of the changing roles of grandparents. The eleven main chapters are by experts in the Americas, Europe and Russia, Asia, and Africa and the Middle East, and the editors integrate their chapters with previous writings on grandparenthood. Rather than technical or statistical research reports, each chapter provides a thought-provoking and comprehensive review of research, real-life case stories, cultural influences, and applied implications for grandparenthood across and within societies. Calling special attention to the roles of grandfathers and grandparenthood in societies previously un-represented in the literature, it provides several hundred new citations of work previously unavailable in English-language publications. Accessible to both scholars and students, it has several pedagogical features (e.g. web links, discussion questions) that make it useful as a text for upper-division undergraduate or graduate level classes in behavioral, social, and family sciences. It is relevant to psychology, gerontology, family studies, anthropology, family/comparative sociology, education, social work, gender studies, ethnic studies, psychiatry, and diversity and international studies programs. Practitioners, service providers, policymakers, and internationally minded grandparents will also enjoy this book. The editors write in their introduction that "research on grandparents in diverse cultures, at different stages of development, is essential both for theory construction and to inform social policy." While sociological research on grandparents in developed and Western countries is substantive, there are fewer studies about grandparenthood in areas such as Africa. The contributors to Grandparents in Cultural Context share their scholarship from the Americas, Europe and Russia, Asia, Africa, and the Middle East. The text focuses more on qualitative research than quantitative data, incorporating case studies and cultural analysis. The resulting text combines aspects from psychology, sociology, anthropology, education, gerontology, and social work. The research is significant; because the studies are not limited to grandparenthood in the US, they can inform the development of theory and social policy in a broader context. Beyond grandfathers and grandmothers, studies also touch on great-grandparents. Extensive references conclude each chapter; numerous photographs, charts, maps, and tables enhance the content. Separate author and subject indexes round out the scholarly apparatus. Summing Up: Highly recommended. Graduate students, researchers, and professionals. Preface David W. Shwalb and Ziarat Hossain. DAVID W. SHWALB (Ph.D., University of Michigan, Developmental Psychology) is Professor of Psychology at Southern Utah University. Co-editor of six previous books including Fathers in Cultural Context (2013, Routledge), he is a former Society for Cross-Cultural Research president and Fulbright awardee. ZIARAT HOSSAIN (Ph.D., Syracuse University, Child and Family Studies) is a Professor of Family and Child Studies and Regents’ Lecturer at the University of New Mexico. He is a former Society for Cross-Cultural Research president and Fulbright Scholar.